Learning how to make fabric banners can be a fun and exciting time and can be done from the comfort of your own home. There is no need to spend lots of money by getting someone else to do it for you when for a few dollars you can do it yourself and have a lot of fun in the process. There could be many reasons why you would want to make a fabric banner and this could be for a school fete, a special activity, a celebration of some kind like a birthday, or just because you feel like making one. * Firstly it is important that you plan what you want from your banner. By doing it the old-fashioned way and putting pencil to paper and designing how you want your banner to look is going to be the first step. This will enable you to get an idea of what m aterials you are looking for and how you are going to go about it. Also it helps you research the materials so you can find out before you start whether or not your design will be expensive for not. * Secondly one of the most important tips on how to make fabric banners is to decide what material you’re going to use. There are three main types of material to choose from and they are felt, cotton, and nylon. They all have different benefits and depending on what type of banner design you are going to choose will determine the material you buy. It is important t hat you do a little research on these materials before you purchase one and make sure that it will fit in with your design. 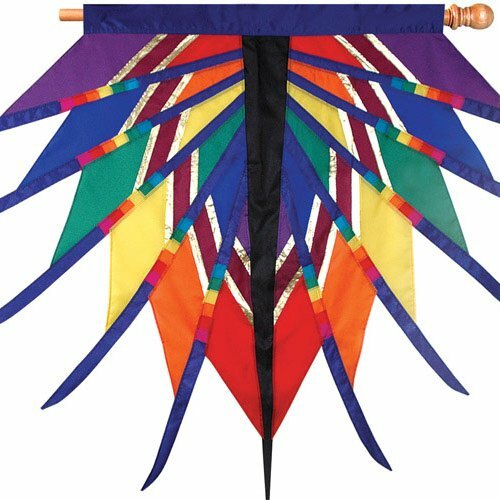 * There are many different ways you can decorate your banner and one of the most popular is to paint onto fabric. One of the best ways to do this is to make your own stencils and then paint on them, using them this way you can get a very nice looking design that looks professional and well thought out. Another popular way is to use fusing which does cost a little more but you can get a very easy and result that isn’t messy. This is because you by premade designs like letters or symbols and iron them onto the material. * Lastly when thinking about how to make fabric banners you should also consider where you are going to be putting up. If it is going to be hun g outside where it is windy and there is a chance of rain then you need to use waterproof materials that are strong and durable. There are many different designs that you can choose when looking for tips on how to make fabric banners. Some of the best design ideas can be found online and you will be able to get your creative juices flowing and also work out how much it is going to cost before you even get your credit card out.